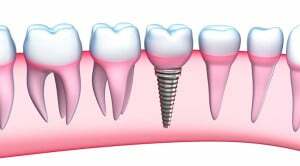 Since their introduction approximately 30 years ago, dental implants have changed the way people get their teeth replaced after loss. Before, the options that were available for teeth replacement were temporary and short-term. Nowadays, it is possible to go on with your life normally after losing your teeth thanks to the permanent replacements that are implants. With a success rate of 95 percent, it is safe to say that implants are mostly a success story. But what about the other 5 percent, what leads to this? 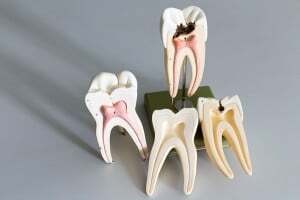 There are certain reasons why dental implantation might result in failure. Understanding these reasons will help you determine whether implants are right for you. It will also help put in place preventative measures to lower chances of failure. Usually, your dentist will discuss these reasons with your before you undertake the implantation and advise you on what your best chances are. Your overall health informs the success rate of your implants. If you have undergone cancer radiation treatment, suffer from osteoporosis, or smoke tobacco, you are at risk of suffering implant failure. While certain conditions can be rectified, such as quitting smoking, it might be a good idea to consider alternative replacement options if you are dealing with chronic health challenges. Your bone health and oral issues may impact the success of dental implantation. In order for implantation to be properly done, your bones (and in particular jawbone) need to be in good condition as this is where the drilling to implant the artificial root takes place. Your oral issues include habits such as grinding your teeth which may cause abnormal stress on your teeth. If you are into such habits you might want to consider working on changing this first before you get artificial teeth fixed. How you care for your implants also plays a significant role in determining if they will be successful after implantation. 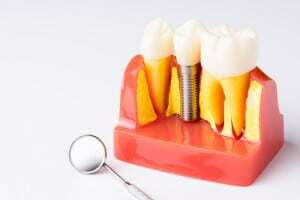 While the actual implant cannot be affected by decay, the surrounding teeth and gums have a high likelihood of suffering from decay if neglected. Remember that just because your new teeth are artificial and permanent (and possibly indestructible) this doesn’t mean that you neglect your oral hygiene. Peri-implantitis is the name given to inflammation of the surrounding gums when one does not care for their implants. Another reason why a dental implant might fall in the 5 percent is if it has been wrongly implanted. A good dentist will take time to study their patient and consider the best possible way to go about an implantation. In some cases, even the most well-meaning dentists might miss something which turns out to have recurring consequences afterwards. Choosing dental implantation when you lose your teeth is an important decision, especially when you are looking for a solution that will last your entire life. However, in order for this to happen, you need to ensure that the factors that influence the success of implantation are well aligned in your particular case. Ensure you discuss all options with your dentist, while being completely honest in order to minimize your chances of failure.